Almhütte - Alpine holiday away from the stress in the middle of nature! Property 30: Almhütte - Alpine holiday away from the stress in the middle of nature! Super nice hosts which were extremely helpful and sweet. Very recommendable house just as expected. 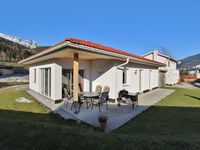 Close to Steinbergbahn - walking distance 5 min.